This is the summary of consumer reviews for Racor PBH-1R Ceiling-Mounted Bike Lift. The BoolPool rating for this product is Very Good, with 4.40 stars, and the price range is $19.18-$31.86. The Racor PBH-1R Ceiling – Mounted Bike Lift is the perfect way to take advantage of unused ceiling space to store your bike. The lift lets you free up precious storage space on the floor, while keeping your bike stored away safely until you're ready to ride. 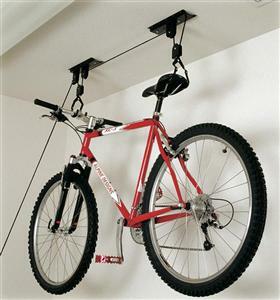 The Bike Lift uses a rope and pulley system that is mounted to your ceiling, can raise and lower a 50lb bike up to 12 feet by simply latching the hooks to the seat and handlebars and pulling the rope. 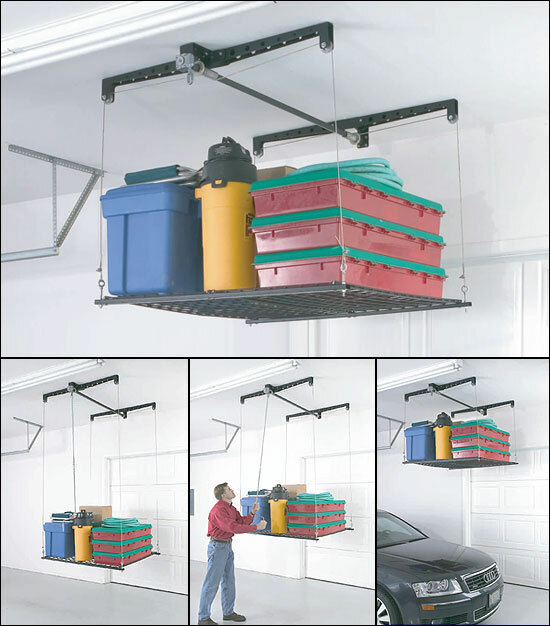 The included 48-foot lift rope is durable, and it provides plenty of excess length for ceilings up to 14-feet high. Store the excess rope on the included rope cleat to keep it nice and tidy. When you’re ready to ride, unlock the rope and lower your bike… no ladders needed! 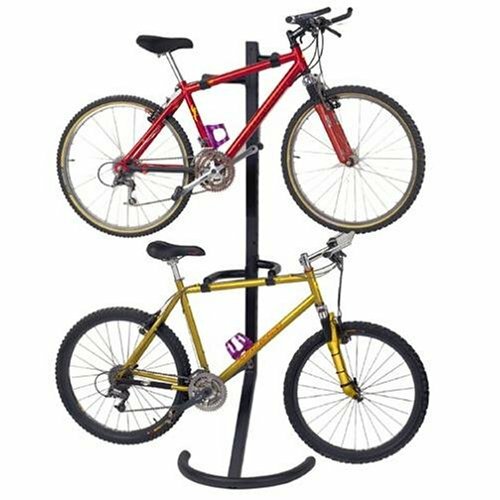 The bike lift is built from solid steel for maximum durability and toughness. 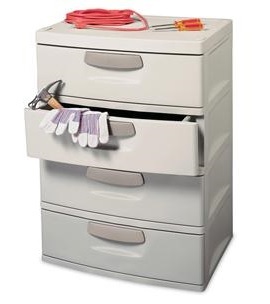 With each pull, the locking mechanism locks into place to eliminate accidental drops. The locking mechanism, pulleys, rope cleat, and lift mechanism offer smooth performance for years to come. 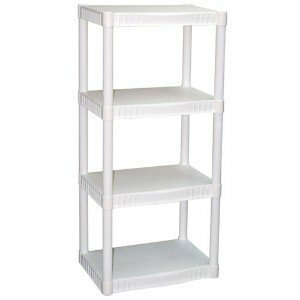 This unit can easily be installed into ceiling joists. However, some reviewers mentioned that, both hooks do not always move together and are less curvy to hold the bike safely. Also, seats having flat bottoms might not be easily secured into the hooks. The poor quality screws stripped and rope frayed easily. Overall, the Racor PBH – 1R Ceiling – Mounted Bike Lift is highly recommended as a space saving solution for its strong components, flexible design and reasonable price. The box includes - Two lift assemblies, two hook pulleys (one with locking mechanism), 48-foot rope, one rope cleat, 10 two-inch wood screws. I reversed the direction of the front handle bar hook and also use a small bungee cord on the seat hook as added precaution. Putting the bike back on the pulley hooks, you do need to be careful that the hooks are securely in place otherwise the bike can tip. The hooks aren't curved enough to properly secure the bicycle handle bars. Because of the light weight of the pulleys and normal friction, the two hooks don't always move together (the hook next to the catch comes down while the rear hook stays up). For safety I added large screw hooks and made small chain slings in case any part of the lift failed. Self locking feature makes it very easy to hoist the bike into the air without worries of it falling. This product is easy to install and looks good. This product was easy to install and functions as advertised. I was able to install this product easily with the instructions provided. 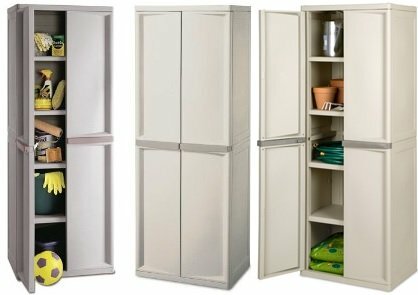 An awesome space saving product. 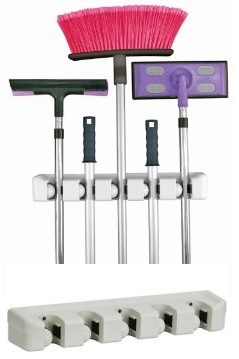 FYI: you do need to install both products on a horizontal surface. I definately recommend this product. Strong components, flexible design and easy to install at a great price. Similar products will cost you $40-$60 at bicycle stores. Great price and a great product. Work well and were relatively easy to install. Once installed it works great. Installation was simple, with easy to follow instructions. After installation of the first, we were happy to install the second. 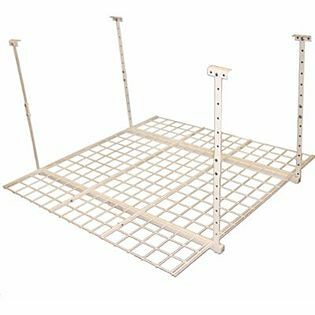 Conclusion: These lifts work very well, are easy to install, are reasonably priced, and are backed by excellent customer service. The installation was simple and the instructions well written. This time I measured and installed the units first - Much easier then trying to install the wood then the units! I tried it with a bike during installation, and they work great for that too. Installation was a snap and product arrived packaged well. I highly recommend installing the hoist to the unit (without the rope) and then installing the wood!!. I read in some review that the included screws are prone to strip, but if pilot holes were drilled deep enough(all the length of the screw), the screw can be driven without any trouble. Find the joist and install with a few screws. Product installed easily - follow the instructions. Took me 1.5 hours for install because of the poor screws. After I bought new screws, the second one only took 30 minutes to install. Just loosen a screw, rotate hook, and tighten the screw. Great idea, fairly easy to install, but by all means replace the screws they send. Some people have had issues with screws stripping - it's true, the screws aren't the greatest. Rope frays easy as other people have said. The rope latching mechanism is very nice and works well. Rope locking system is safe and easy to initiate. bike and pull the rope down. Someone complained that the rope frayed easily and I found out why. We've had no problems with rope fraying as others have. The only down side is that the rope can be difficult to control without practice, and rope burns hurt!. This product works and is relatively easy to install. Works great and saves much space in our garage. This was an easy to install fix to a storage problem in the garage. Installed quickly and easy to operate. I installed the lift in my garage per the instructions - it was easy. This was easy to install in our open raftered garage and does exactly what we want. It was easy to install and works just as advertised. They were easy to install and they work exactly as advertised. 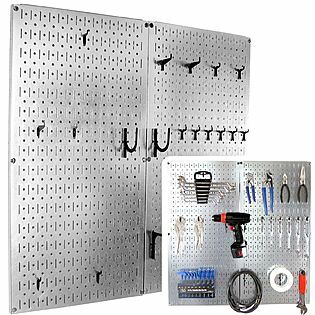 This allows you to use that unused space in most garages. It was easy to install (about 15-20 min). A well thought out storage solution for getting bikes off the garage floor.